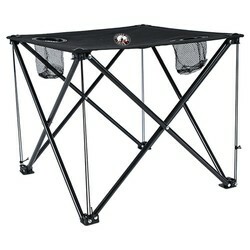 This folding table is great for Tailgating, camping and more! Use this mesa table to hold your cerveza. The perfect complement to your favorite sport chair. 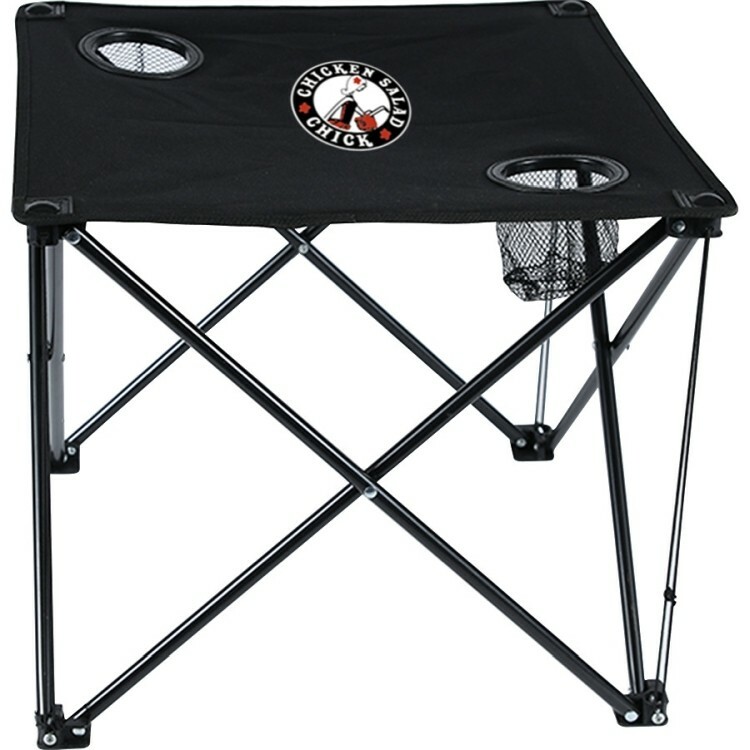 Folds down into a carry bag for easy storage and carrying. Keep it handy in the trunk of your car. Two cup holders provide a spill-proof and kid-proof space for your cold beverage while leaving ample room for extra stuff. It will also double as footrest when the need calls for it. 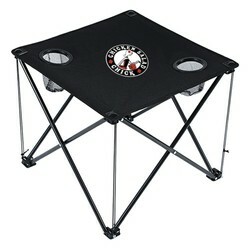 Elastic straps pulls table tight and attach to bottom of each leg. 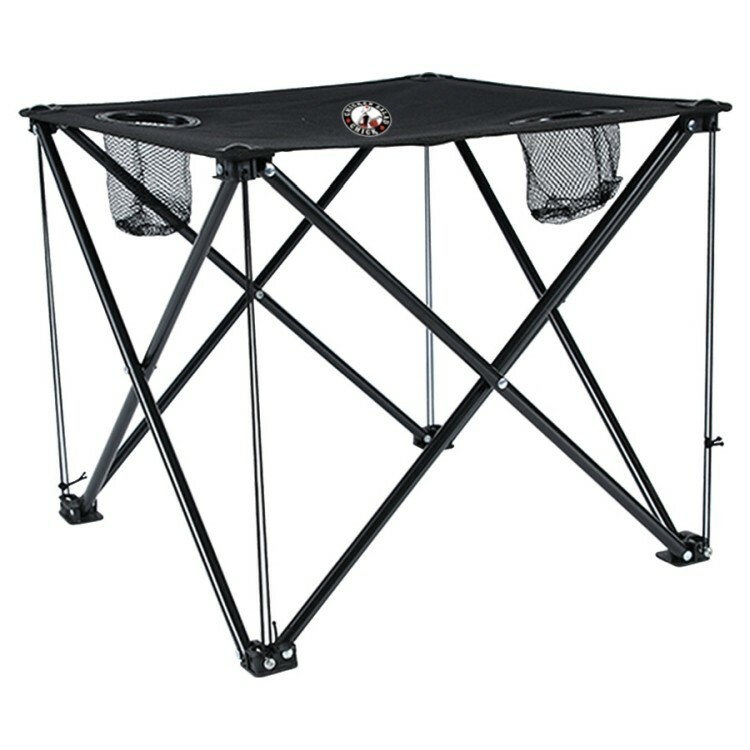 600D poly table top with 210D poly drawstring carry bag. Steel frame.